Hair gels are a styling essential for anyone who loves experimenting with looks. From adding volume to defining curls and taming flyaways, this product is extremely versatile when it comes to facilitating different styles and looks. However, using a bad product can make your hair dull and lifeless. Following, I’ve put together, a list of the top 10 hair styling gels available in India. 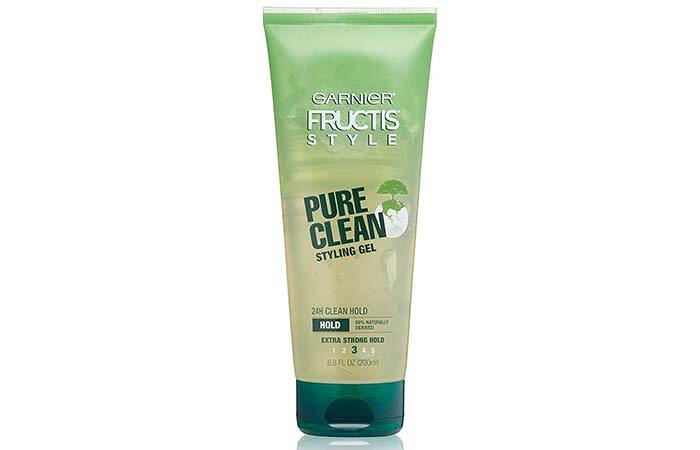 Garnier Fructis Style’s Pure Clean Styling Gel is one of the best products for styling. 98% of its ingredients are naturally derived, giving your hair some clean hold that is free of dyes, silicones, and parabens. This gel controls frizz and provides your hair with extra strong hold. The product washes out easily and doesn’t leave behind as much build up as most hair gels do. Great for a wet and slick look. Runny texture that spreads well. 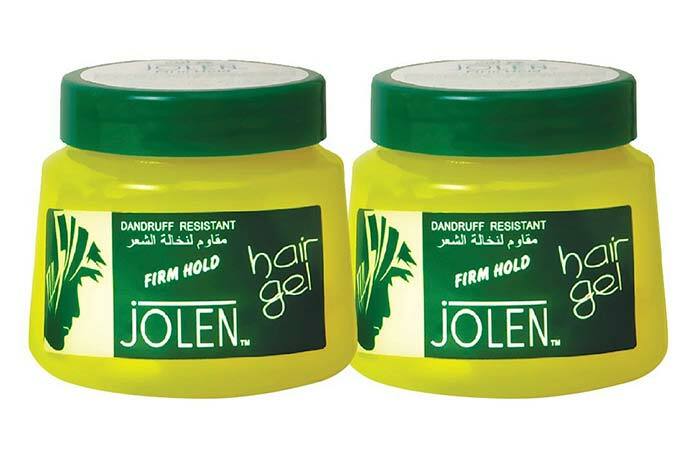 Jolen’s Firm Hold Hair Gel promises to give your hair a strong and lasting hold. The product claims to help keep your hair conditioned while giving it a smooth and shiny look. It also claims to protect your scalp and keep it dandruff-free. Great for a slicked look. Does not come through on the “conditioning” claims. 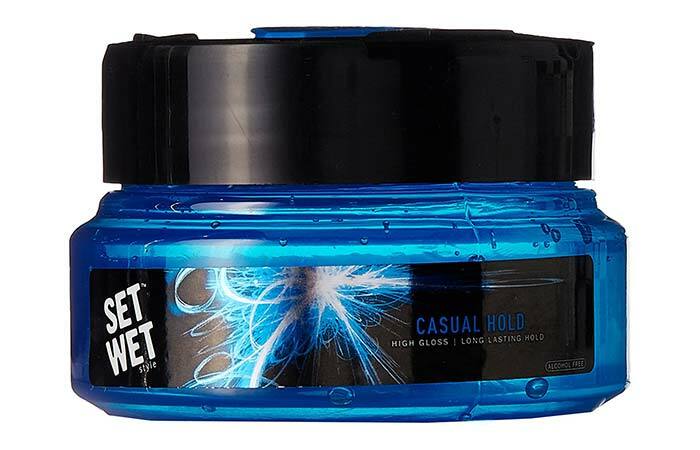 Set Wet Style’s Casual Hold gel is meant for everyday use. It holds simple styles, smoothes flyaways, and controls frizz throughout the day. The product promises high gloss, which leaves your hair looking shiny. It also lasts for a long time and suits all hair types. Makes your hair look shiny. Although this product, like most styling gels, is marketed for men, it is a styling essential for women with curly or unruly hair. 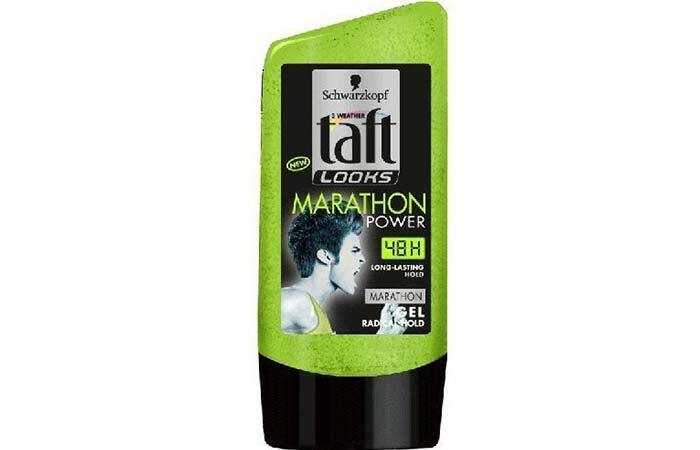 The Taft Looks gel promises freedom from flaking residue and stickiness with a lasting 48-hour hold. It has been specially designed with a high endurance formula which allows you to touch your hair without compromising the hold. Does not leave flakes or residue. 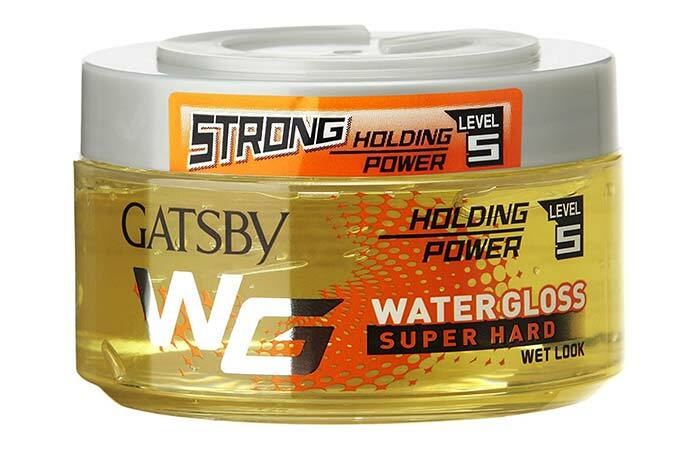 Gatsby’s Water Gloss Super Hard Gel is an excellent styling ingredient that binds hair closely together, holding the style for several hours. The product promises a non-sticky formula that adds shine to your hair and is super easy to wash off. Its strong holding power allows for extreme styling with a powerful set. Perfect for a wet look. Not ideal for dry hair. 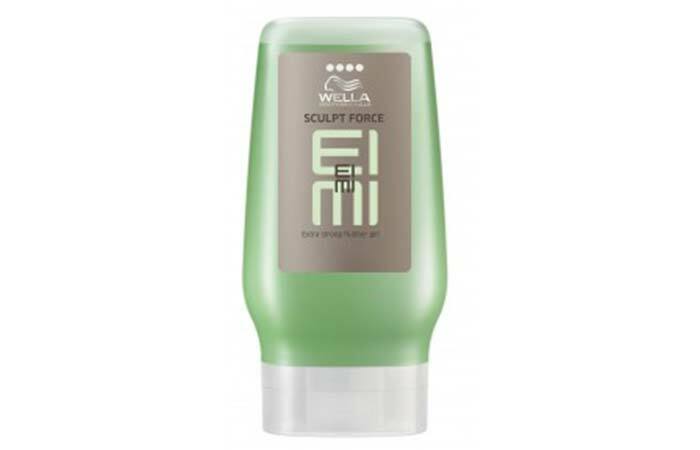 This product by Wella is a salon grade styling gel that has been specially designed with a fast dry formula. It helps define your curls and leave it with a shine without drying it out. It also helps protect your hair from the harmful UV rays of the sun. Does not make your hair stiff. Looks great on the second day as well. Does not flake or leave residue. 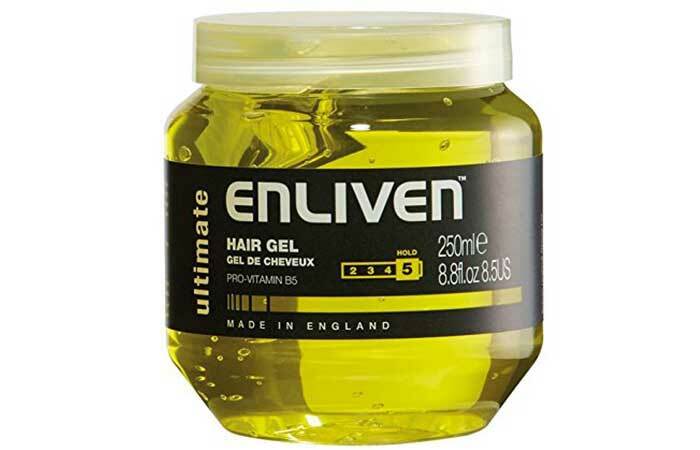 This hair gel from Enliven is budget friendly and works extremely well for defining curls and controlling frizz. The product has a strong and long-lasting hold that will keep your hair tame for hours. Free of sulfates, silicones, mineral oils, paraffin, and alcohol. 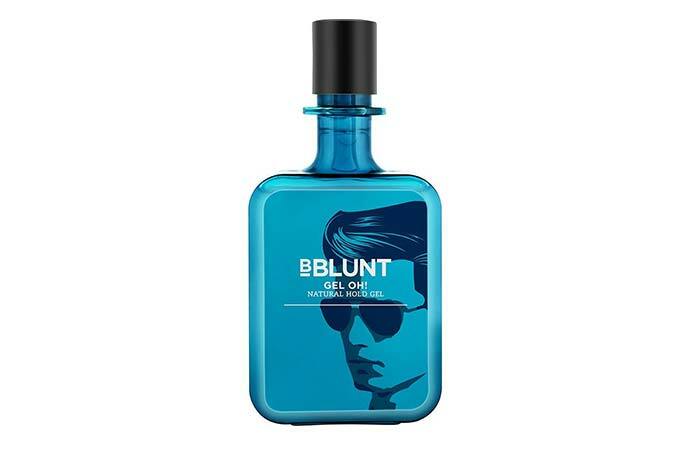 Bblunt’s Gel Oh! Natural Hold Gel promises to leave your hair with gloss and natural fullness. 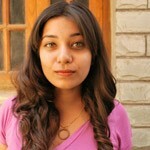 It helps protect your hair from pollutants and Indian weather. This product has been specifically formulated for Indian hair and has been specially created with a color protect formula. Does not leave any residue or flakes. May not be strong enough for some. 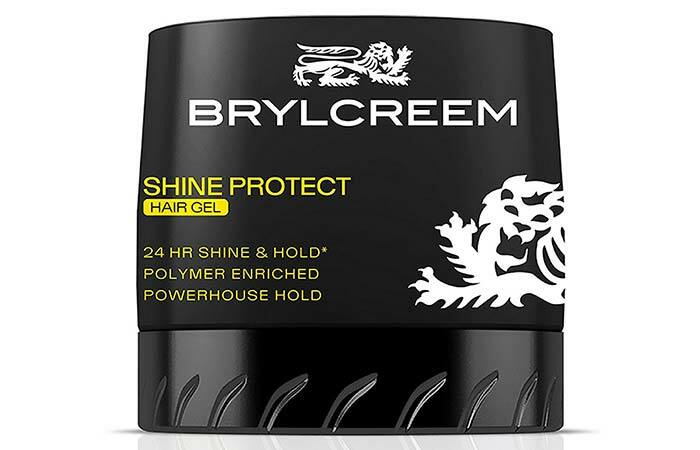 Brylcreem’s Shine Protect Hair Styling Gel is a polymer enriched formula that holds the style for 24 hours. This product has been designed to suit all hair types and leaves your hair with a hard hold that is even protected in pollution and extreme weather conditions. Does not make your hair look greasy. 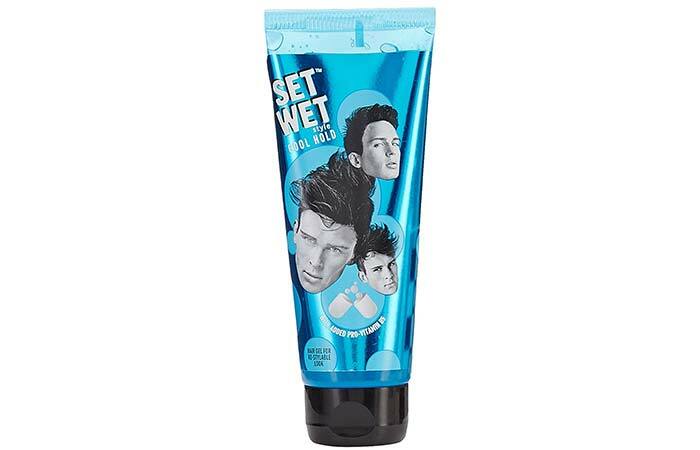 For those who love the wet look, this is the perfect hair gel. Set Wet Style’s Cool Gel is perfect for the days when you want to slick your hair back and let it be. It gives your hair just the right amount of hold to be restyled through the course of the day without getting messy. May not suit oily hair types. If you love styling your hair, this list of products is the perfect guide to what you should buy next. Have you used any of these hair gel brands? Tell us about your experience in the comments section below. Mousse, foam, curl enhancing cream, hairspray... the list goes on and on! We women love looking good. We don’t mind spending those extra minutes in front of the mirror every morning to make sure our hair is perfect.